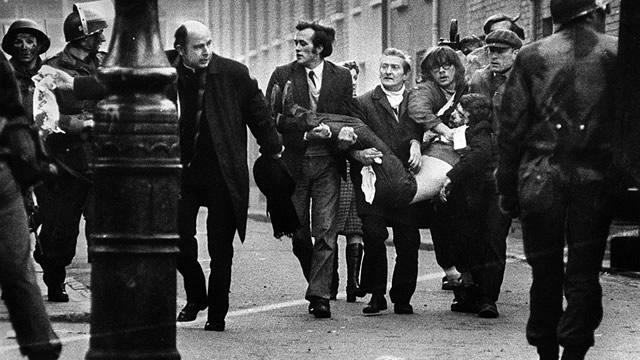 A SOLICITOR acting for most of the Bloody Sunday families has hit out at the PSNI after it emerged that over 50 soldiers have refused to co-operate with its murder investigation. It comes ater a meeting held in the City Hotel on Wednesday night where the detective leading the investigation. Detective Chief Intspector Ian Harrison, gave the families an update on the progress being made by the police in contacting witnesses since the Investigation began over three years ago. It emerged at the meeting that of 131 potential military witnesses identified by the detectives, 27 have died, while 34 have now been interviewed, with a further seven currently being spoken to about the events of January 30, 1972, where British paratroopers shot 13 people dead in the Bogside. Another victim later died from their injuries. However, the families were told that 55 military personnel have refused to co-operate with the investigation, which has sparked major concerns among the legal team representing the majority of the families. Speaking to the Derry News, Ciaran Shiels, of Madden and Finucane Solicitors, said that the detectives leading the investigation are not using the legal pressure available to them to make them co-operate with the probe. “We have major concerns over the fact that 40 per cent of the military witnesses are refusing to co-operate with this investigation.” he said. “Of equal concern is the PSNI’s attitude to this, which seems to nothing more than a shrug of the shoulders and saying ‘Well, what can we do about it?’. “It’s just not good enough. The police were reminded at the meeting that if they know of someone who has information relating to, or has witnessed a criminal act, and they refuse to co-operate with police, then they can be arrested with withholding information. Mr Shiels added: “However, it seems that the law applied to everyone else does not apply to people who may have witnessed people being shot dead in the Bogside”. He continued that the news of the soldier’s refusal to co-operate and the police’s response to the news had led to misgivings about the PSNl’s attitude towards the murder probe. “This is not an investigation the police wanted, and the feeble response they’ve shown to the lack co-operation from military personnel seems to indicate they are simply going through the motions here,” Mr Shiels continued. He added that of the civilian witnesses, 310 engaged with the investigation, while 239 declined. A further 394 potential witnesses have passed away since 1972.